Salmonella Lawyer | Can I Sue for Salmonella? Do I Need a Lawyer? A Salmonella lawyer can help you get compensation for illness from contaminated food. Lawyers at our law firm have won millions in lawsuits against restaurants and food companies, including $6.5 million on behalf of a child who suffered permanent brain damage and $4.5 million on behalf a man who got meningitis and almost died. If you have tested positive for Salmonella, contact our award-winning food poisoning legal team for a free consultation with a lawyer: 1-888-377-8900 (toll-free). there is sufficient evidence connecting your illness to a food product or location (restaurant, for example). Strict liability – Products sold are not supposed to cause harm. Negligence – Sellers of food at every level are supposed to use reasonable care to ensure the safety of the food. Breach of warranty – Sellers of food warrant that it is fit to eat. Do I Need a Salmonella Lawyer? These cases depend on microbiologic and statistical evidence. Our lawyers are some of the few in the nation who have won food poisoning cases using this evidence. We highly recommend you hire a lawyer who has experience with outbreak investigations and litigation. Attorney Ryan Osterholm can be contacted toll-free at 1-888-377-8900. The most common source of illness is food contaminated with the feces of infected people or animals. People who come into contact with stool need only pick up a few cells of Salmonella bacterium to become infected. Companies that handle food are required to take measures to prevent contamination and to detect contamination before food is sold to consumers. When that does not happen, people get sick. It is our job to hold companies liable for selling contaminated food. Although the number of cases reported in the U.S. annually is about 40,000, it is estimated that up to four million infections occur in this nation each year because mild cases are often not reported or diagnosed. Your settlement should include amounts for serious complications, like meningitis (brain infection), sepsis, heart damage, pancreatitis, and severe colitis (requiring surgery called a colectomy). Butterball Ground Turkey: The CDC announced on March 13, 2019 that five people have been sickened in Wisconsin and one other state. The affected products were sold in 2018, but might still be in some people’s freezers. Supermercado Rivera in Chicago: At least 6 people developed Salmonella infections from Supermercado Rivera in Chicago after eating carnitas and other foods. People who got sick purchased the contaminated food from the grocery store on W 51st St between February 23-24, 2019. 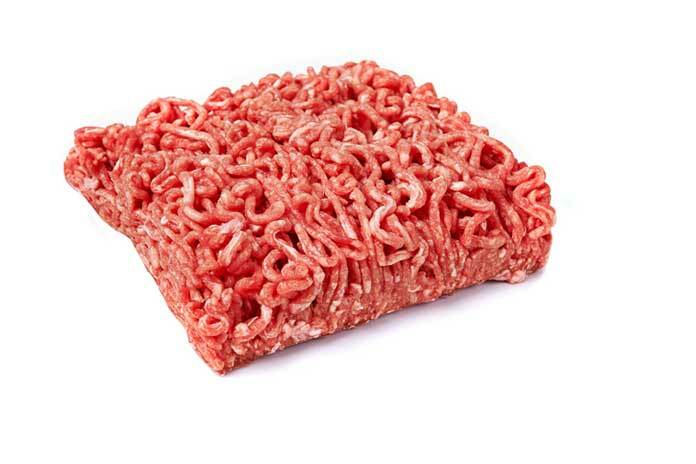 JBS Tolleson Beef: A Salmonella outbreak linked to beef produced by JBS Tolleson Inc., an Arizona company, has sickened 57 people from 16 states, according to the U.S. Department of Agriculture’s Food Safety and Inspection Service (USDA-FSIS). In response, the company issued a recall for 6.5 million pounds of beef. The recalled products, ground beef and ground chuck sold as burgers and in chubs of various sizes, were packaged on various dates from July 26 to Sept. 7, 2018 and have the establishment number “EST. 267” inside the USDA mark of inspection. These products may have been sold under the following brands: Cedar River Farms Natural Beef, Comnor Perfect Choice, Gourmet Burger, Grass Run Farms Natural Beef, JBS Generic, Showcase and Showcase/ Walmart. The products were distributed to Walmart, Winn Dixie, Sprouts, Savemart and others. Pot ‘O Gold Dairy Raw Milk: At least nine people were sickened in a Salmonella outbreak linked to raw milk produced by Pot ‘O Gold Dairy in Bear Lake, PA. In recent years, raw milk products have been the source of a number of food poisoning outbreaks. Salmonella from Raw Chicken: 92 people aged less than one to 105 years old were sickened in a Salmonella outbreak linked to raw chicken products. The dates of onset-of-illness ranged from January 19 to September 9, 2018. 89 percent of these reported preparing or eating chicken that had been purchased raw before they had symptoms of illness. The raw chicken products were purchased from multiple stores and labeled with a number of different brands. Gravel Ridge Farm Eggs Update: Shell eggs produced at Gravel Ridge Farm in Cullen County, Alabama are the likely cause of an outbreak that has sickened 38 illnesses in seven states: AL (7), CO (1), IA (1), KY (1), OH (4), MT (1), TN (23), according to the CDC. The company issued a recall for Gravel Ridge eggs on September 6, 2018: eggs packaged in single-dozen cardboard cartons and 2.5-dozen cardboard flats with the UPC 7-06970-38444-6 and “use by” dates from July 25, 2018, through October 31, 2018. Some of these eggs were distributed to restaurants, which means restaurant lawsuits against Gravel Ridge Farm for Salmonella from eggs are possible. The Gravel Ridge Farm egg recall was expanded on October 2, 2018. Salmonella from Kelloggs Sugar Smacks Cereal: The Kellogg Company has announced a recall of Honey Smacks cereal prompted by reports of Salmonella illnesses associated with the product. The recall includes 15.3 oz. and 23 oz. boxes with “best before dates of JUN 14, 2018 through JUN 14, 2019. The recalled 15.3 oz-packages have the UPC 3800039103 and the recalled 23 oz- packages have the UPC 3800014810. No other Kellogg products are impacted by this recall. Read more: Kellogg Salmonella, Lawyer Investigates Lawsuit and Honey Smacks Salmonella Lawsuit Lawyers. Melons Purchased at Walmart and Other Stores: On June 12, 2018, attorneys Fred Pritzker and Brendan Flaherty filed a lawsuit on behalf of a 73-year-old Ohio woman who was sickened in the Salmonella Adelaide outbreak linked to pre-cut melon produced at Caito Foods, LLC in Indianapolis. According to the lawsuit the melon product was purchased at a Walmart store in Findlay, Ohio. Read more about the melon Salmonella lawsuit filed by our law firm. Salmonella from Eggs: A 2018 Salmonella outbreak linked to shell eggs produced at Rose Acre Farm and sold under a variety of brand names including Coburn Farms, Country Daybreak, Crystal Farms, Food Lion, Glenview, Great Value, Nelms, Publix and Sunshine Farms and Sunups has sickened 23 people in nine states. Natural Grocers Coconut Smiles: Our law firm is investigating an outbreak linked to Natural Grocers Coconut Smiles. Before this product was recalled in March of 2018, it was distributed to the following states: Arkansas, Arizona, Colorado, Iowa, Idaho, Kansas, Minnesota, Missouri, Montana, Nebraska, Nevada, New Mexico, North Dakota, Oklahoma, Oregon, Texas, Utah, Washington and Wyoming. Find out if you have a lawsuit for Salmonella from Natural Grocers coconut smiles. Lawsuit filed against Fareway Foods: Attorneys Ryan Osterholm and Lindsay Lien Rinholen filed a lawsuit against Fareway Stores, Inc. alleging Salmonella from chicken salad sold at a Des Moines, Iowa, Fareway grocery store in February of 2018. Restaurant in Minnesota: Attorney Ryan Osterholm is representing people who contracted Salmonella after eating at Smokey’s Pub in East Bethel, Minnesota, in early 2018. Multistate Outbreak Linked to Shredded Coconut: At least 25 people in 9 states have been sickened to date. Find out if you can sue for Salmonella from coconut served in a drink at a restaurant. Toyo Tire Food Poisoning in Georgia: Hundreds of people were sickened who ate a catered meal at Toyo Tire in White, Georgia, on November 15, 2017. We are representing people sickened in the Toyo Tire Salmonella food poisoning outbreak, and a lawsuit against the restaurant that catered the meal will be filed soon. Best BBQ in Chicago: Attorney Ryan Osterholm is representing a client who contracted Salmonella food poisoning after eating at Best BBQ on 1648 West 115th Street in Chicago’s Morgan Park neighborhood in August of 2017. This client was one of at least 14 people who became ill.
Cilantro Fresh Mexican Grill Restaurant in New Haven – People who ate at Cilantro Fresh Mexican Grill restaurant in June of 2017, located at 1158 Whalley Avenue in New Haven, are part of a Salmonella outbreak, according to the Connecticut Department of Public Health (DPH). Duffy’s Bar and Grill in Osseo, Minnesota – Attorney Ryan Osterholm is leading our investigation of an outbreak of Salmonella Enteritidis associated with eating at Duffy’s Bar and Grill in Osseo, MN, in February of 2017. MOOO Restaurant in the XV Beacon Hotel in Boston – Attorney Brendan Flaherty is representing several people who were diagnosed with Salmonella after eating at the MOOO…. (ellipses are part of the name) restaurant located in Boston’s XV Beacon Hotel. Contact us at 1-888-377-8900 (toll-free) if you were sickened in one of these or another outbreak. The term Salmonella actually refers to a group of bacteria, many of which cause diarrheal illness in animals and humans. There are many different kinds of this bacteria. S. Typhimurium (or .Typhi) can cause the illness typhoid. The illness caused by other types, including S. Enteritidis, which is common in the U.S., is called salmonellosis. You can click here now to contact our lawyers and get your free consultation. We have helped hundreds of people get compensation and justice by filing personal injury and wrongful death lawsuits against restaurants, grocery stores, food companies and others.